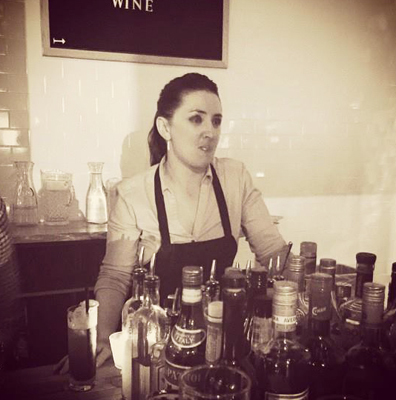 Carrie Clayton of Poros Aegean Estiatorio first began bartending in various dive bars in Brooklyn while attending college. She goes on to say “It wasn’t long before I realized that I absolutely loved the industry and was never going to be able to pull myself away.” After completing culinary school, Carrie dove head first into crafting her mixology skills. Now a few years later, Carrie has found herself as the lead bartender at Poros, one of the hippest spots on Market Square in Pittsburgh and she loves every minute of it.